Woman Responsible for 2016 Fatal Wreck Indicted for Murder and Intoxication Assault, LIVINGSTON, July 11, 2017 - On July 7, 2017, a Polk County grand jury indicted the woman who was responsible for the June 2016 wreck that claimed the life of a man and seriously injured his wife. 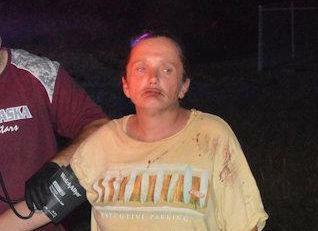 51 year old Melissa Ann Miller, of Onalaska, was indicted for murder and intoxication assault. Miller was driving a Mitsubishi SUV on FM-356 North near the county line on the night of June 25, 2016 when her vehicle crossed the center line and struck a motorcycle being driven by 38 year old James Bradberry, of Montgomery. The collision ended up costing Bradberry his life (he died after being flown to Conroe) and his wife, Melissa Bradberry, sustained life altering injuries. Miller's next court date is scheduled for July 26.